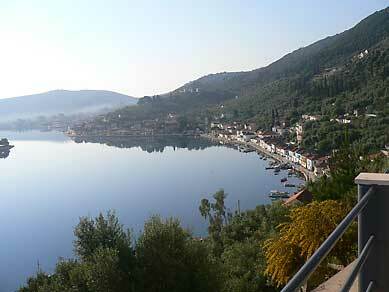 The capital and largest settlement in Ithaca is Vathi. 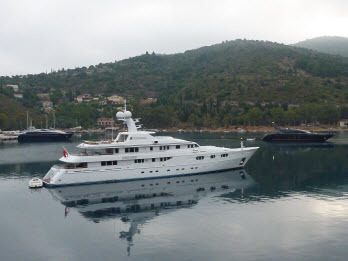 Vathi, the capital of Ithaca since the 16th century is the largest settlement on the island with a population of some 2000. During the Middle Ages this area was called "Vale di Compare" (Valley of the Godfather). 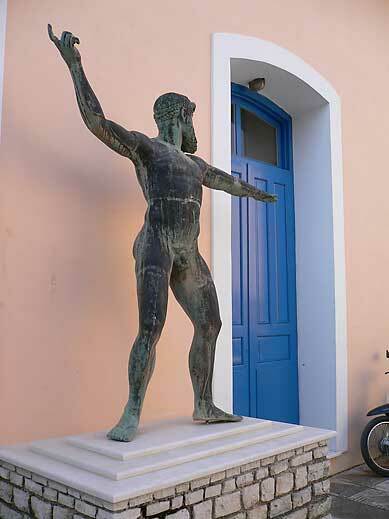 Today the official name is Ithaca but everyone refers to the capital as Vathi or Hora. 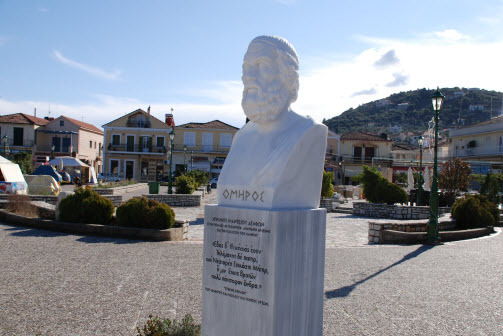 The town has been built along the coastline of one of the most natural ports of Greece. The length of the port is 926 m. with an entrance of 300 m. in width. Extending from the coastline the town meets a small valley full of citrus trees, vineyards, olive trees and agricultural farming. 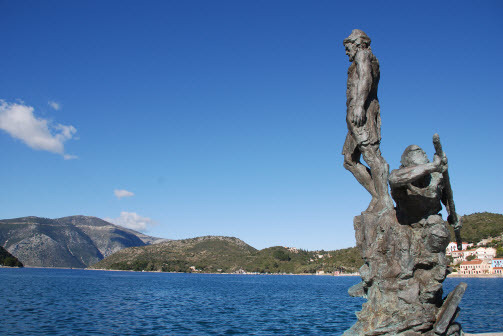 During the ancient times there was a temple for the god "Forkyn" in the bay of Vathi and also it has been recorded that after Odysseus' odyssey he secretly landed on the sea-shore "Dexia" which is located beside the entrance of the port of Vathi. Prior to the Middle Ages there was no organized settlement in Vathi. During this period what settlement existed was forced to move up the mountain to live safely away from the port which was then used by pirates as a hideaway. 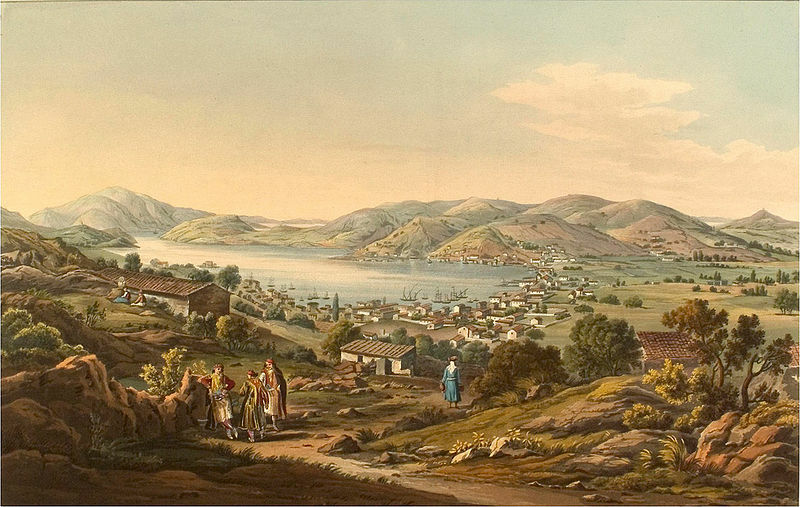 During the Venetian occupation, some families who were living in the settlement of Palichora on the mountain , moved back down to Vathi. It was then that the first houses were built beside the "Metropolis" (cathedral). The population increased during the Venetian and English periods reaching a total of 5,000 residents. Vathy became the most important centre for trade and commerce, political activities, law and order. In the middle of the port lies the islet named "Lazareto" on which stands the church of "Sotiros" (Saviour) built in 1668. In 1836, with some of the stones being used from ancient ruins, another building was constructed which functioned as a quarantine all through the English period. 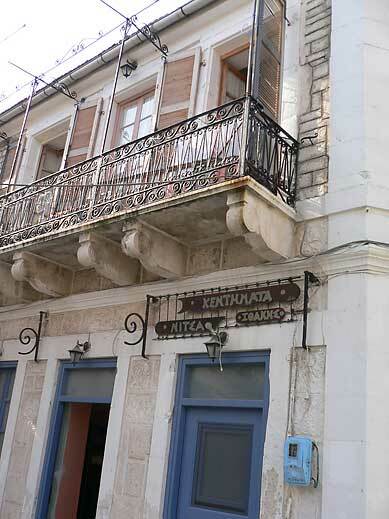 With the English leaving and Ithaca uniting with Greece in 1864, the building became a prison until 1912. At the entrance of the port, on both sides, still remains a fort that was built by the French in 1807 in order to confront the English. Passing through the entrance on the left side is the seashore "Loutsa". Here the famous dockyard operated all through the 19th century, constructing over 200 ships. With the wealth invested by the shipowners, merchants and sailors in the first decade of the 20th century, prosperity came to the island allowing the construction of many private and public buildings. But in the second decade, the Ithacan fleet began to decrease causing a decline in the economic situation of the majority of the people. The earthquakes of 1953 demolished almost all the buildings in Vathi, leaving only a few standing. Amongst those destroyed were Venetian public buildings and houses which fortunately were rebuilt in the same manner. Vathi's buildings are considered traditional inhabitations by a law passed in 1978 which prohibits construction or repairs in any other style of architecture or colour. Today, Vathi, with its enchanting scenery and traditional architecture, is a magnet for the many tourists who visit the Greek islands.